Diageo is rolling out a global marketing initiative for its Smirnoff vodka brand aimed at discovering and celebrating the best nightlife from around the world. 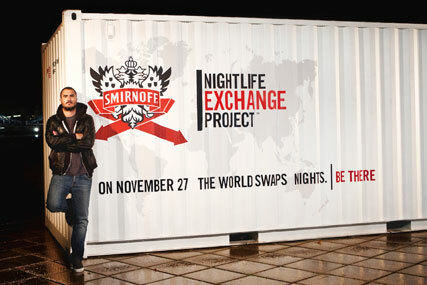 The Smirnoff Nightlife Exchange Project is a call to action inviting consumer-generated ideas from 14 markets that will then be transformed into event experiences. The drive, a continuation of last year's "Be There" campaign, culminates in a finale on 27 November 2010. On this day each of the 14 countries taking part, including the UK, will exchange the best of their nightlife with a partner country. Zane Lowe, BBC Radio One DJ and musician, will lead the search in the UK. In addition to the global event experience, which will garner suggestions from the brand’s Facebook page (www.facebook.com/SmirnoffGB), the campaign will include a global partnership with MTV, a blogger outreach programme, an owned mobile channel, Smirnoff.mob, and 14 national PR initiatives. A TV and web ad campaign, created by JWT New York, will also run from this month featuring consumers speaking about their best nights out. The global media partnership with MTV will see in-depth coverage on air and online at each stage of the Smirnoff Nightlife Exchange Project, engaging consumers through a series of news segments and webisodes featuring the project's curators, MTV News personalities and global influencers. As an additional recruitment mechanic, a six-week regional tour of experiential street activity will be taking place from September 25 around the UK. The tour will see a crate – a Brother-style mobile diary room - visit London, Brighton, Manchester, Birmingham and Glasgow. Inside it, the Smirnoff team will encourage people to record their views on what is best about their local scene via a vox pop booth. Anita Robinson, marketing director Smirnoff GB, said: "The Smirnoff Nightlife Exchange Project is an ambitious undertaking, the likes of which has never been attempted before by the brand. "The 'Be There' campaign is all about doing things differently – constantly challenging ourselves and consumers to create more memorable one-of-a-kind experiences."